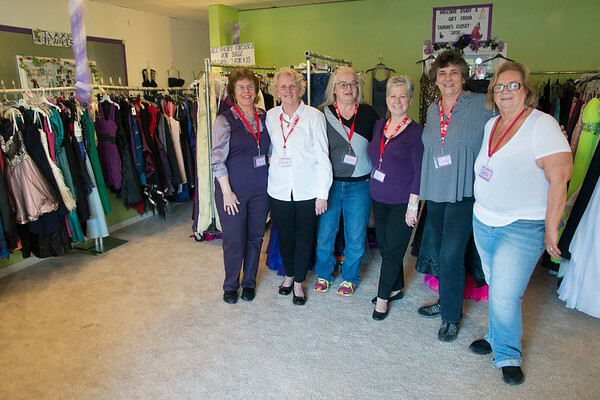 JIM VAIKNORAS/Staff photo The crew at opening day at Tammi's Closet in Amesbury from the left: Nancy Noseworthy, Sandy Smith , Diane Bezanson-Welch, Pat Smith, Cindy Hoyt and Betty Vitale. is a a non-profit organization named in memory of Vitale's daughter who passed away at a young age. Her goal is to collect and give away prom dresses and accessories to girls in need.